Here's comfort and value in one chair! 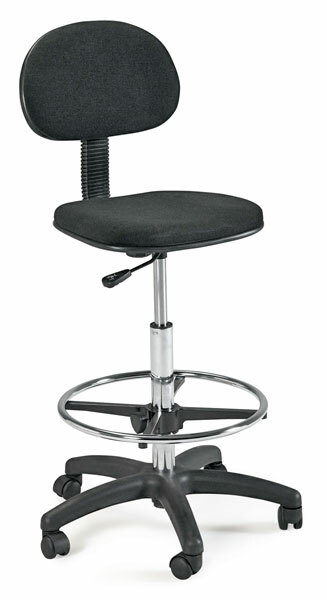 The Stiletto, from Martin Universal Design, is equipped with a comfortable backrest and an ergonomically contoured seat, with a waterfall front for improved circulation. The Stiletto chair features a pneumatic control for height adjustment plus an adjustable 18" diameter foot ring — customize it to your body. It also features a five-star base for added stability and hooded casters for easy mobility.